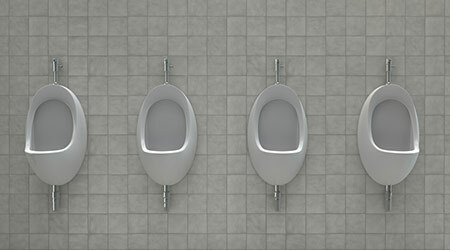 Contributed by Waterless Co. Inc.
• The women's suffrage movement played a role in the growing popularity of urinals. Many men believed standing up symbolically elevated them above women seeking equal rights so they preferred using urinals. • Urinals developed a French flavor. 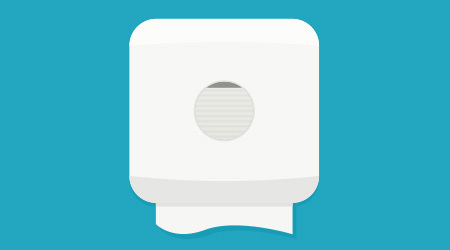 Pissoirs were introduced in Paris in the 1900s. They were an immediate success causing other European city planners to install similar outdoor public urinals. • Urinals made it into the art world in 1917. Marcel Duchamp created La Fontaine, a conceptualized porcelain urinal, which became his most famous work. He signed it, "R Mutt." • Also in 1917, a noted photographer, Alfred Stieglitz, then married to artist Georgia O'Keefe, photographed La Fontaine. It became one of his most famous photographs. • In 2004, the British Broadcasting Corporation (BBC) surveyed 500 experts in various fields of art regarding the most influential piece of art from the twentieth century. Shockingly, La Fontaine was voted into the top position above more celebrated works. • Urinals invaded politics in 1933. Outgoing President Herbert Hoover had the toilet removed from the Oval Office bathroom and installed a urinal for incoming President Franklin Roosevelt. This turned out to be a bit nasty. While most people were unaware of it at the time, Roosevelt was bound to a wheelchair during most of his presidency and did not use a urinal.